The sponsors of terrorists took part in the creation of a so-called "Republic Bank", "the Ministry of Income and Taxes" and "the Ministry of Finance" of the Donetsk People’s Republic (DPR) militant organization as early as in 2014, according to the press center of the Security Service of Ukraine. 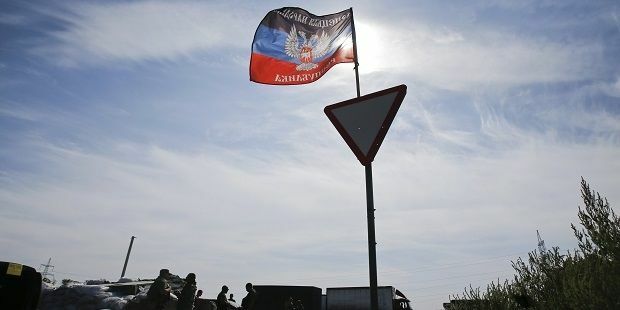 The Security Service of Ukraine exposed and blocked the operations of a criminal group which created the scheme of financing of a DPR terrorist organization. The structures created by terrorist sponsors, collect "taxes" from local businesses, with part of these funds being allocated to finance illegal armed groups. One of the members of the group, a 30-year-old Torez local pitched the collected "taxes" to the so-called budget fund of the DPR. Security Service operatives found that terrorist leaders "rewarded" him, in particular, with the monopoly on the extraction of coal and other mineral resources in the temporarily occupied territories. According to a criminal scheme, several Mariupol-based companies, along with their legal operations, shipped goods to the militant-controlled areas of Donbas. The funds, accumulated in the accounts of these companies, were transferred through fictitious contracts to several Russian companies registered in Rostov-on-Don. In Russia the money was cashed and transported through the sections of Russian-Ukrainian border beyond government control to the so-called Republican Bank of the DPR under the guise of "charity and taxes". Based on materials of the investigation, the court arrested 51 accounts of 14 companies. Measures are being taken to resolve the issue getting a temporary access to the allocated funds. During searches in the companies’ premises. the Security Service officials seized the equivalent of UAH 2 million in different currencies and 20 seals of the law firms that are registered at the locations of the searches, servers and computer equipment containing information on financing the illegal armed groups of the militants. SBU investigators initiated criminal proceedings under Part 2 of Article 258-5 (Conspiracy in financing of terrorism by group of persons) of the Criminal Code of Ukraine. Investigation continues to identify and bring to justice all those involved in sponsoring Russian-backed terrorists.